Recently, PIPO Tablet has showed its new model witch is equipped with a 7.85inch small screen -- PIPO U8T Windows10 Mini Tablet PC. It looks like a phone with a little larger screen, and we believe the price will have some advantages. It is said that this is not the first time that PIPO released its Win10 device, previous models including PIPO W4, PIPO X7S Mini PC, PIPO X9 Mini PC TV Box and so on. The new exposed PIPO U8T Win10 mini tablet is the same name as its first PIPO U8T Android Tablet PC, while has some difference on the specs. According to the data that has been leaked, the U8T does not include Qualcomm Snapdragon processor or Intel Processor, while equipped with Rockchip RK3288w SoC, and adopts ARM Cortex-A17 processor. It uses a 7.85 inch 1024x768 pixels screen, built in 1GB RAM + 16GB ROM. Though the new Pipo U8T Win10 mini pc runs Windows 10 OS, it does not support Cellular network connection. Maybe available in the future. Moreover, there is still a upgraded version which is equipped with 2GB RAM + 32GB ROM and much higher resolution screen. 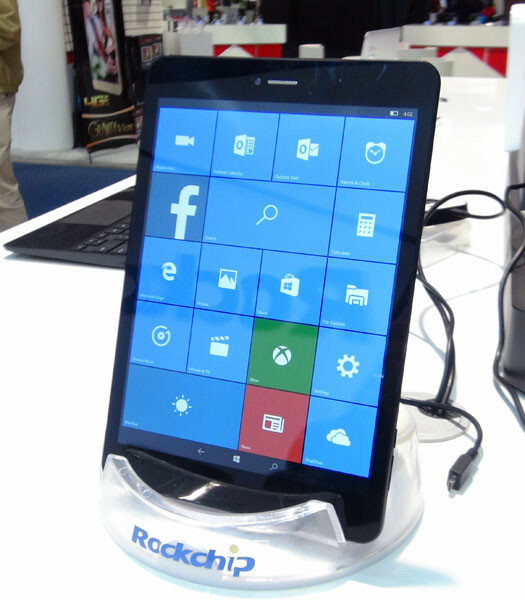 More news about the latest PiPO U8T Windows 10 Mini Tablet PC please stay tuned for our later news.